If you look at modern businesses today, a significant part of its operations and functions are often outsourced. This phenomenon has essentially changed how we conduct our business over the past two decades and outsourcing has impacted every industry in Europe (even though some were slower than others to catch on). Sometimes certain operations are outsourced to companies and individuals nearby and sometimes they are contracted out to entities on the other side of the planet. Nordic countries are no different and have reaped the benefits of this not so new commercial phenomenon. So what’s driving countries like Norway to source its operations from outside? 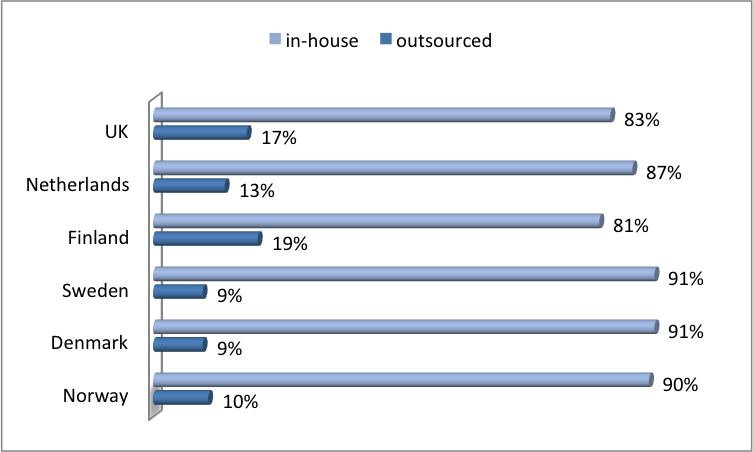 Well, there are several factors that drive outsourcing which will be examined below. According to a study conducted by the professional services firm Ernst & Young, the main driver of outsourcing services over the past few years is cost-efficiency. However there are also other factors to consider like access to tools, expertise, and knowledge which are also key drivers of outsourcing (especially in countries such as Norway, Sweden, and the United Kingdom). The study also identified efficiency, quality improvements, and cost reduction as key drivers of this phenomenon. That being said, it’s also important to note that factors that drive the growth of outsourcing in Europe can differ from country to country. European countries that are most open to international outsourcing are the United Kingdom and Nordic countries. However, this phenomenon is also expected to be more widely adopted by countries like Germany, France, and Spain. These are also European countries with the largest markets, so it will be interesting to see how things progress. At the present time, Norway is outsourcing 10% of its operations (and IT and business functions are still the most popular categories that are currently outsourced). Of those Norwegian organizations that outsource nearshore or offshore team, 27% outsource core business / technology functions, while 73% outsource non-core functions such as back-end development and integrations, QA and testing, app evolution, gamification, etc. When looking at outsourcing near show, a lot of the Nordic countries are looking to Ukraine to source their IT needs. This is essentially because Denmark, Norway, and Sweden simply can’t keep up with the demand for IT services. As a result, continental neighbors such as IT professionals in Ukraine can fill the gap. Although cost is the main driver for outsourcing in most parts of the world, the same cannot be said for Norway. Although cost is important, it’s the outsourcing strategy that attracts Scandinavian companies to Ukraine. The current trend in Norway is outsourcing work in order to access specific tools, knowledge, or expertise. This also directly influences the decision on which location to source from. Ukraine for example is ideal because the capital Kyiv is just an hour ahead of Scandinavian time (making it easier to collaborate), the country has some of the leading IT universities in Eastern Europe (that continuously supply highly skilled IT professionals), and may specialists can speak English. These are some of the same factors that drove the Innlandet Hospital Trust to outsource their web and mobile development to Intersog. The general feeling is that the need for specific expertise and tools will not go away anytime soon. So Norway is expected to see a significant growth in outsourcing. At the same time, experts do not believe that cloud computing will be outsourced. This is in contrast to what is expected to happen in other countries around Europe (so it will be a matter of seeing how all the different variables play out). As evidenced by the chart below, while other markets focus on lowering costs, the key driver for outsourcing in Norway will continue to be access to experience and expertise. When compared to the rest of Europe, clients do not seem to be getting what they want with their Service Level Agreements (SLAs). One of the key reasons for this is not having a proper SLA when starting the outsourcing function. This will have a significant impact on the growth of outsourcing in Europe. That being said, Norway does not seem to have any issues with the quality of service that they have been receiving. 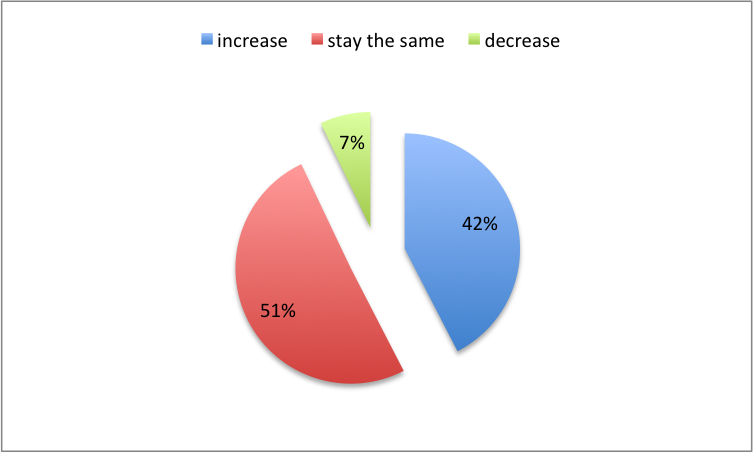 That indicates that Norwegian companies are doing a fantastic job in defining their SLAs. One reason for this is the fact that Nordic companies have come into the outsourcing game much later than others. As a result, they may have learned quite a lot (quickly) by studying the experience of others on the continent. As outsourcing gets incorporated into businesses of all sizes over the next few years, it will be interesting to see if Norway will remain a little different from other European nations or if the trends will become increasingly similar. One thing’s for sure, outsourcing in Norway will continue to grow over the coming years. Are you outsourcing IT and business operations for your company in Norway? If so, which country are you sourcing from? What has your experience been with outsourcing so far? Please comment in the section below.